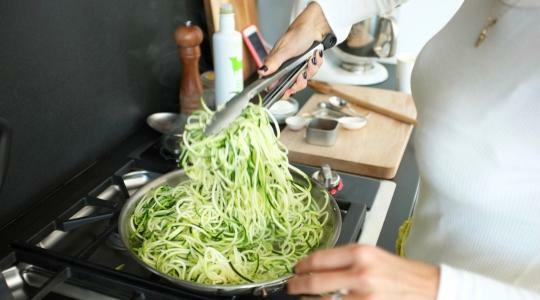 Use a spiralizer to make zucchini noodles. 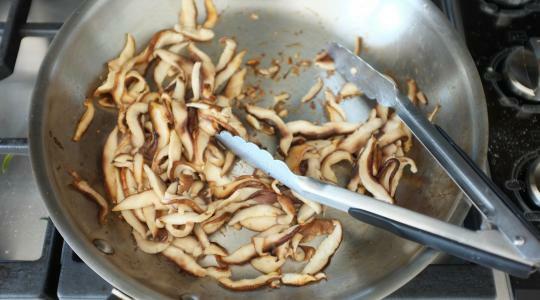 Remove and discard the stems from the mushroom caps. Wipe any dirt from the caps with a damp paper towel. Slice the caps. 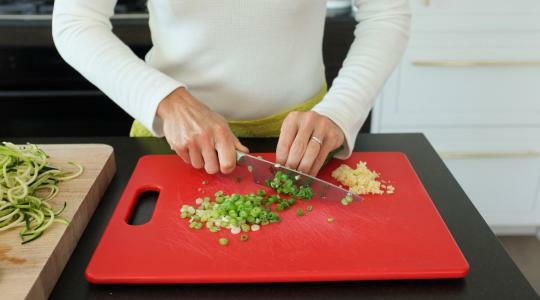 Chop the garlic and slice the scallions. In a large skillet, heat the oil over medium-high heat. Add the garlic and cook, stirring, until fragrant, about 30 seconds. 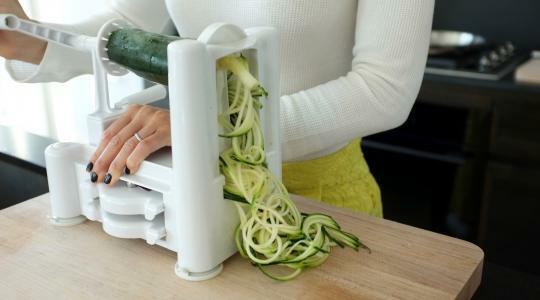 Add the zucchini and use tongs to toss in the oil. Add ¼ teaspoon of the salt and the red pepper flakes. Continue to toss while the noodles cook until crisp-tender, 2 to 3 minutes. Pour into a large bowl. Wipe out the skillet and return it to medium heat. Heat the sesame oil. 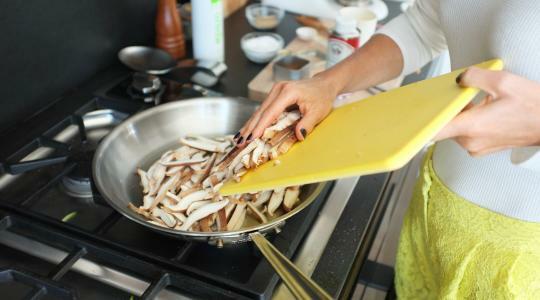 Add the mushrooms and toss in the oil. Cook, stirring often, until tender, 2 to 3 minutes. Stir in the remaining ⅛ teaspoon salt and the soy sauce. Spoon the mushrooms over the noodles. 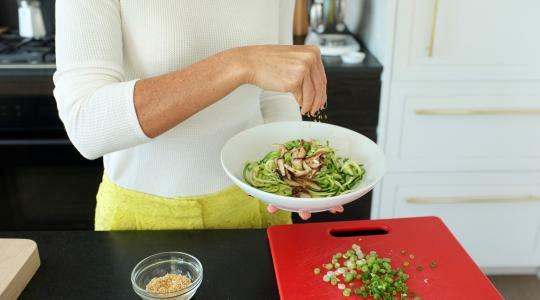 Serve topped with scallions and sesame seeds.